... but I already own the PS2 versions of Ico and Shadow of the Colossus and, well, I usually don't "double dip" when it comes to games. Still, I'm sure many Team Ico fans will do just that if, as is rumored, both titles are slapped onto a blu-ray disk and released for the PS3 early next year. Unfortunately for those same fans, this suggests that team's latest effort, The Last Guardian, won't hit store shelves until sometime next spring or summer. 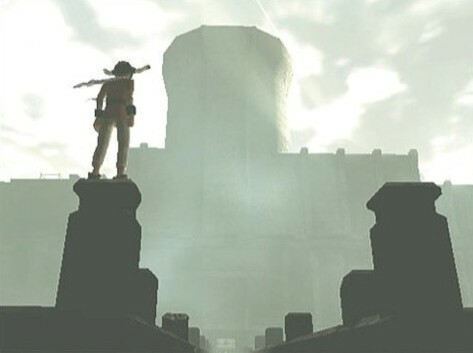 Oh man...Shadow of the Colossus was the prettiest, most melancholy piece of game I ever played through. If Monster Hunter could get that feel down pat, I'd buy every one. I like ICO. I can't say I love it, because I loathe its "sticks and shadows" combat. I do think its ending is beautiful, and that's probably why I've held on to it. I never picked up Shadow of the Colossus. As gorgeous as its graphics look and as awesome as its bosses seem, Shadow just didn't appear to have enough "game" for me. It sounded like it would have me wander around for periods, fight and beat a boss, and repeat the process a dozen or so times. Maybe I missed out, but concept-wise, it seemed a little thin. I bought both games because of the hype surrounding them, basically. I can't say either completely lived up to the hype for me, but that doesn't mean I didn't/don't enjoy them. I like that both of them went out on a limb, in a way, and tried something different. Also, both are pretty brooding and moody, which is a nice change of pace from the typical video game. I guess what I'm saying is that I think both are worth trying, but I understand that neither of them are going to appeal to everyone in the end.